World's First Reclining Inflatable Sofa. Experience superior comfort and pleasure anywhere in the world with the pump-free air lounger. The Lets Laze can be used as a Lounger, Chair or Rocka. Only £39.95 BUY NOW Inflate in Seconds! Take a look at these 3 fab ways to experience your new LetsLaze™ inflatable lounger! Rocky mountain or sandy beach, you can relax anywhere in the world. 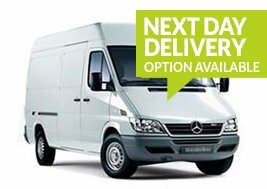 Next Day UK Delivery available at £4.95. Enjoy superior comfort and relaxation in seconds with LetsLaze™ , the pump-free inflatable lounger. From the intrepid adventurer to the chilled holidaymaker, it’s perfect for everyone. This air sofa can be used for any purpose – as a gamer chair for the house, a beach couch for those long days, or just an extra lounger when you have more guests than seats. Your air lounger's simplistic design means that you can inflate it and deflate it in seconds, and there's no need for a pump either! Just simply scoop up air and your LetsLaze™ will be ready in seconds. Lightweight with its own carry bag, you can take it with you anywhere, making it your ultimate travel buddy.